In this fast paced world of technology, you can never quite tell just when will the next big thing hit the market, although there has been duds and surprises in the past. Headsets or headphones are not exactly the most exciting kind of peripherals when you think about it, but this does not mean that changes made to it have been slow. No sir, here we are with LG Electronics rolling out the LG Tone Ultra, and it so happens to be the most recent version of its extremely popular Bluetooth stereo headset. If you have a penchant for model numbers, then the LG Tone Ultra is easier referred to as the HBS-800. Do not expect it to be a normal headset, as it will be feature packed to the brim, and will definitely be able to continue from where its predecessor, the LG Tone (HBS-700/730) left off. As to whether the LG Tone Ultra will be able to sell more than two million units as did the original LG Tone remains to be seen. Still, here is what we do know about the LG Tone Ultra – it was specially developed in order to deliver a superior audio experience alongside eyebrow-raising stereo sound. Through the use of noise reduction technology that they have called ambient noise cancellation (ANC), the LG Tone Ultra will be able to do its bit to block out background noise, so that you, the listener, are able to to focus on the music or conversation without any distractions in the background. 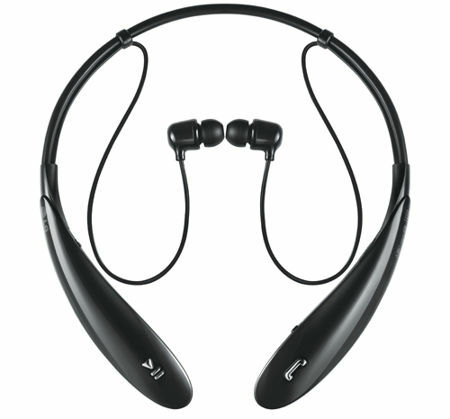 Apart from that, LG’s special around-the neck design has also been improved in the LG Tone Ultra as it adopts the ergonomic 3D Neck Behind design that can be found in previous models. Not only that, it will be able to be paired to any Bluetooth-supported device, ranging from smartphones to tablets and notebooks, while the unique multiple access function lets two Bluetooth devices to connect to the Tone Ultra simultaneously. Pricing details remain to be determined, but it should arrive later next month in selected territories.